Does it seem like you suddenly grew a bit of a gut in a single day or night? If so, it is unlikely that it is fat and far more likely that it is bloating. 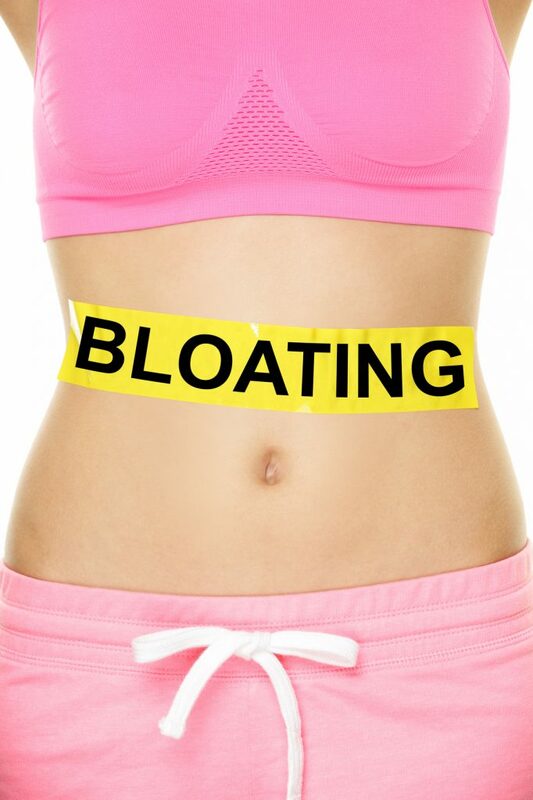 Bloating is something that occurs when we gulp a lot of air as we eat, when we consume foods that create a lot of gas, when we eat rich and fatty foods that take longer to digest or when we simply overeat at one sitting. Bloating can occur in the upper stomach or the lower abdomen depending upon its source, and though it can be a sign of a medical issue, in this article, we are going to look at bloating due to diet. It is a bit of a bummer, but many of the foods that make us healthy and promote a sense of satiety (fullness with less food) are also foods that can cause bloating. The good news is that you can still eat many of them, it is just important to eat them at the right time of the day. Let’s first look at a list of the guilty culprits where bloating is concerned, and then figure out what to do about them if you don’t want to eliminate them from the diet. Beans – One of the most well-known reasons behind bloating and gas, they are full of protein and fiber. They are one of the best carbs, so it is a bit troubling to think you have to skip them if you don’t want bloating. The good news is you don’t have to skip them, but you do have to cook them yourself if you want to control the issue. First, choose low gas options like pintos and black beans. Then be sure you soak whatever beans you choose overnight with a few pinches of baking soda in the water. Draining and rinsing well before cooking can reduce bloating. NOTE: Lentils can be tricky too and soaking or sprouting them can often eliminate the bloating and gas. Onions, garlic and other similar veggies – There is no shortcut around this group of gassy foods. The only way to enjoy flavorful dishes without onion disruptions is to go for herbs and citrus juices rather than onions, garlics, chives and the rest. Cruciferous veggies – Broccoli, cabbage, brussels sprouts, cauliflower and other similar veggies are very gassy and bloat inducing. Go for spinach, zucchini, greens and cucumbers instead. Grains – You don’t even have to have a gluten sensitivity to bloat after eating wheat, rye, barley and other grains. Stick with brown rice, quinoa, oats and buckwheat to stay safe. Dairy and high fiber fruits as well as fizzy drinks, canned foods and takeout foods are also problematic and best avoided if you don’t want the bloat that follows.